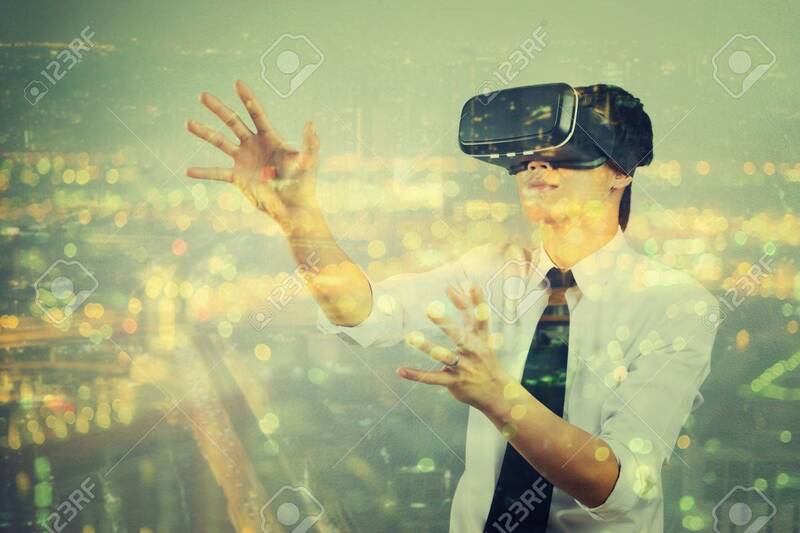 Double Exposure Man Wearing Virtual Reality In Modern Coworking Studio. Smartphone Using With VR Box 3D Virtual Reality Glasses Headset,vintage Color Banco De Imagens Royalty Free, Ilustrações, Imagens E Banco De Imagens.. Image 80983142.